Launching a product is easy. You create something great, throw some money on ads, optimize the incoming traffic and sales start pouring in. Yeah, I wish. That’s how it goes in your head, but in reality all you hear are crickets. Here’s the good news, though. You can avoid that. Product launches aren’t just about the product. The product is only one half of the equation. The other half is the launch itself and getting people interested before you have a product. That means building an email list. You need to grow your email list BEFORE you launch to increase your odds of success. The best part? You don’t need a massive number of people on your list. Fifty highly targeted subscribers are much better than 500 who don’t really care about your launch. Let’s take a look at five inexpensive ways to build a pre-launch list of people eager to buy your product when it’s ready. Ignore everyone who says guest blogging is dead. Yes, it may not have the same SEO value as before, but it’s a powerful strategy for other reasons. When you guest blog on authoritative and trustworthy sites, you’re immediately seen as an authority and trustworthy yourself. 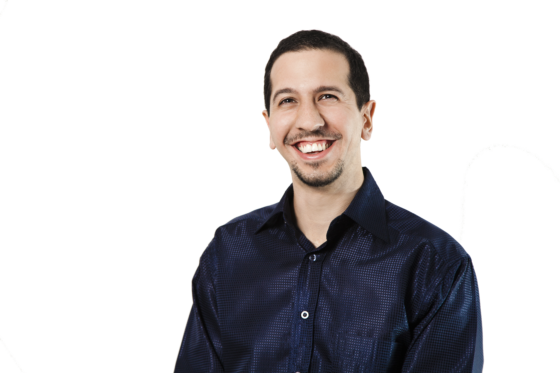 Groove and Buffer built their traffic and businesses using this tactic alone. I don’t know about you, but I tend to trust companies with more than 2 million users and valued at 60 million dollars. Analyze blogs in your targeted niche. A quick Google search will bring up the top blogs in your niche and their best posts. 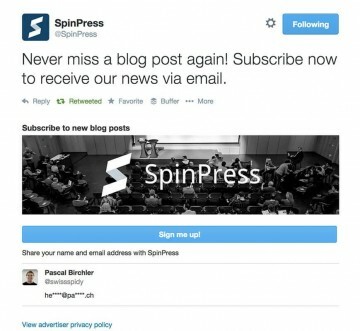 Buzzsumo is an excellent way to see how many shares and comments they get. Send personalized emails. To guest post on these blogs, send the editors a personalized email. It’s better to start with the less popular blogs and then work your way up, using the social proof of previous guest posts to land more posts. Write an epic post and don’t forget your author bio. This last element is usually the visitors’ gateway to your landing page. Make sure you have a great picture, a nice description and an enticing CTA. Once you get people to your landing page, increase your odds of email subscriptions by offering a free guide or ebook. Ideally, you should have something related to the guest post. 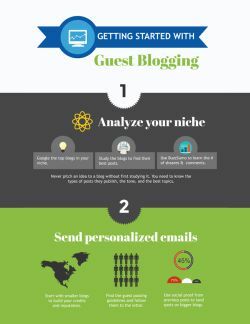 For a more comprehensive guest posting strategy, check out this guide. Step 1 – Put together a resource that serves a specific purpose in your niche. For example, Aladdin Happy has a growth hacking course. To collect email addresses, he created a side-project where he emails subscribers one new growth hacking idea a week. Step 2 – Promote your mini projects in communities most interested in your topic. Inbound for Marketing, Dribbble for great designs, etc. Step 3 – Implement popups and email forms on your mini-project websites and gather email subscribers. This works great for a couple of reasons. First, you get to create something of value for people, and you can’t go wrong with that. Ideally, each project you create will have an impact on the target audience it’s meant for. Second, since you get to work on different themed projects, you’ll get subscribers from all sides of the digital marketing spectrum. Lead generation cards by Twitter and Lead Ads by Facebook are new types of ads meant specifically for email collection. 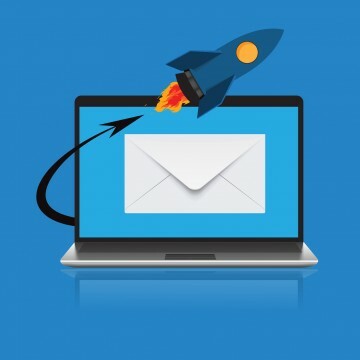 Unlike regular ads, where people click to be taken to your site, which may not be ready if you haven’t launched yet, lead ads allow you to collect email addresses right within these social networks. These are set up in the Facebook Power Editor and the Twitter Ads interface. When users see your ad, they just need to click a button to add their email addresses to your list. To make your ads more effective, offer something valuable in exchange, like a free ebook or email course. Finally, keep optimizing your ads and testing out different target segments. If you find that you’re not collecting enough initially, try changing the ad copy, images, and offer to find the best fit. There’s no shame in having a pre-launch before the actual product launch. Share your unfinished product on sites like ProductHunt, Betalist and many others, and get initial feedback. Then create scarcity by implementing a wait list feature. This is easier than you might think if you use launch page builders like Kickoff Labs. A wait list works just like the ones you see standing outside clubs. You stand in line and wait for others ahead of you to get in first before your turn arrives. If you want to jump the queue, you bring a big group or bribe the bouncer. In the online world, you could get your waitlisted users to invite their friends, or give them the option to pay a small fee to jump ahead. 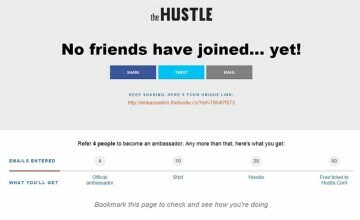 The Hustle uses an ambassador system, where subscribers get rewards for inviting their friends. The more they invite, the better the reward. It’s a great way to incentivize early users and subscribers to spread the word about your product. You can also consider allowing a limited number of beta users in, instead of making them wait till you launch. Your beta users can test your unfinished product and give you feedback so that you can polish it before launch. Of course, you’ll need to incentivize them as well. Think about attracting a few big influencers and providing such amazing rewards that they’ll feel compelled to share your product with others. Guest blogging is effective enough on its own, but combine that with the Skyscraper Technique and you’ve got a behemoth on your hands. It’s enough to look at the number of case studies, reviews, and comments on the Backlinko blog to understand it’s the real deal. The number of backlinks alone is staggering. And how does Brian extract even more value from those epic blog posts? Content upgrades. Create an epic blog post – better and more detailed than anything that’s available right now. Drive traffic to it by doing influencer outreach – send emails to the people you’ve mentioned in the blog post. Follow this strategy to write effective outreach emails. Offer a free complementary giveaway – an ebook, email course, guide, etc., to people who give you their email address. Podcasts are all the rage. It’s likely that there are some very popular podcasts in your niche. Typically, these podcasts are really just interviews. That means the podcasts hosts are always on the look out for new people to interview. As a leader (or soon to be!) in your niche, you have a great chance of getting on a few, if not all, of the best podcasts in your niche. If you’ve already done the guest-posting step above, use that as social proof to demonstrate your authority to the podcast host. Again, like with guest posts, you want to end the podcast interview with a CTA. Either request the host publish the podcast on your launch day and ask listeners to check out your product, or give them a special freebie to collect their emails before the launch. Whatever tactic you decide to use, remember that getting emails isn’t hard, or expensive. It doesn’t take anything special to put one of these tactics into action. You just need to start! What you do with those emails is the real challenge. It’s up to you to consistently send value to your subscribers and nurture them before and after your product launch. We’d love to hear from you: How are you building your pre-launch email list? Post your answers in the comments below! Yes! I can’t tell you how many times I’ve tried to follow someone or read more and they have zero contact information. Having an avatar photo is so important, too. Hey Cynda, glad you liked it! Yes, it’s surprising to find people writing guests posts but not explaining who they are. Don’t make the same mistake when you write guest posts! I love what Amy Porterfield does with her podcasts. Every podcast post leads to a content upgrade – which gives podcast listeners a reason to go back to the site and subscribe. It also gives blog readers a push to listen to the podcast! That’s a great example, Rocky! Amy sure knows what she’s doing.